We're pleased to be joining Mark Hix at Oyster & Chop House, Farringdon, to celebrate British seasonal ingredients. We'll be there Hepple cocktails and gin tastings. Hepple co-founder, Valentine Warner will also be speaking about Hepple. 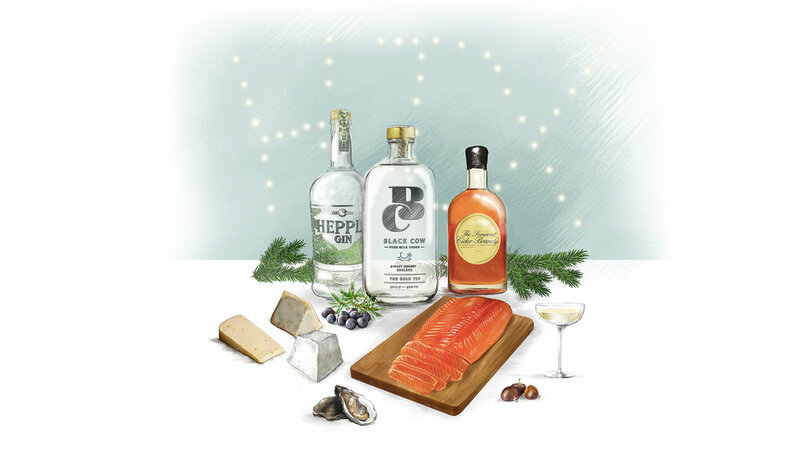 The Festive Celebration is a chance to spend time with Mark Hix and the producers of Hix's carefully sourced ingredients. There will be food stands around the room serving an array of seasonal treats including natural and cooked oysters, truffled capon from the trolley, Peter Hannan’s sugar pit beef ribs, British cheeses with Somerset membrillo and mincemeat meringues. It’s a free to attend, with food and drink tokens available to purchase in advance or on the day.